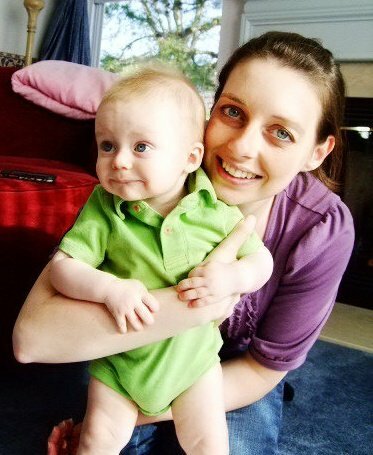 I spent 2010 in a new-mom fog, topped off with postpartum depression. It seemed the day my son was born, I forgot how to care for myself as I learned to care for him. Now that I’m recovered from PPD and the shock of new parenthood, this year I’m refocusing on myself. In 2011, I plan to spend less time on laundry and dusting and more time taking a bubble bath and reading a book. Less time overscheduled, angry, and worried and more time playing, giggling, and snuggling. the minute you have your dates selected for the month, grab your phone and plan your childcare for the entire month. Trust me, this will keep you accountable! Simple enough, right? To nurture others, you must first nurture yourself. Today’s author is James of James & Jax, a blog about discovering her new self after becoming a mom. Time for Self-Care: Self-Preserving Not Selfish! Well said, James. Why do we think that just because we have become moms we must forget about taking care of ourselves? When speaking to moms with postpartum depression or anxiety, they tend to take care of the needs of others first. Taking care of my needs was a hard habit to form, but the best decision I made for myself and my family. Congrats on your recovery! As a mom, even when I schedule time it doesn’t always work out but if I keep at it, I usually succeed. Today, my 22 yo called while I was catching up on some reading to talk about moving to a different apartment complex over spring break. So, admittedly I spoke to her first. Then when we were done and I had some extra unplanned time, I went back to my reading. Reminded me that if I keep self-care in mind and don’t lose sight of my goal even with interruptions, it can work out okay. Thanks to all of you for your comments and insights. Together, we can encourage and support each other to make this most important chang!